USDA’s Prospective Plantings report for 2019 projects all U.S. cotton acres to total 13.8 million acres – down 2% from 2018 plantings. According to the March 29 report, upland cotton area is estimated at 13.5 million acres – down 2% from last year – and Pima/ELS acres are estimated to climb 2% to 255,000 acres in 2019. The USDA numbers are slightly higher than the Cotton Grower Acreage Survey number of 13.7 million acres, and significantly lower than the National Cotton Council’s survey projection of 14.5 million acres of upland and Pima/ELS cotton. 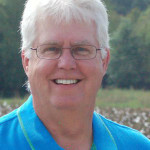 The Cotton Grower survey was released in January, with the NCC numbers released in February. Based on the USDA numbers, Southeast cotton acres are projected at 2.81 million – down 2.6% from 2018. Acreage decreases are expected for Florida (down 23%), Georgia (down 6%) and South Carolina (down 3%), with increases indicated for North Carolina (up 9%) and Virginia (up 2%). Alabama acres are projected to remain level for 2019. In the five Mid-South states, projected plantings total 2.3 million acres – a 14% increase. Tennessee acreage is expected to be unchanged for 2019, but all other states are projected for increases: Arkansas up 20%, Louisiana up 33%, Mississippi up 10% and Missouri up 17%. 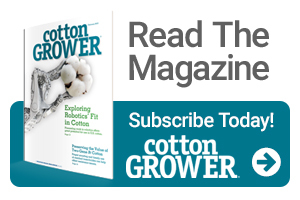 Cotton acres in the Southwest are projected to total 8.2 million acres – down 500,000 acres from 2018. Texas leads the market with 7.3 million acres, down 6% from last year. An 8% decrease is also projected for Oklahoma, while Kansas growers are expected to increase 2019 acres by 3%. In the Western states, upland acres are projected to decline across the region, with California down 17%, Arizona down 3% and New Mexico down 9%. Pima/ELS plantings are projected to climb 2.4%, with increases indicated for New Mexico (up 14%) and California (up 7%). Decreases are expected for Arizona (down 43%) and Texas (down 22%). The full report, with state-by-state projections, can be found online.